Since the rough start of the 2014 race season, with Ironman Los Cabos, many great things happen. Starting by receiving the Ironman All World Athlete Award for my performance in 2013, this signify that my performances are amongst the top 5% in the world. A new association as Ambassador of Ted’s Road and Triathlon Bicycle Store. This Bike Store is located on Princess St. down town Kingston. 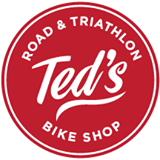 It is by far the best bike store I had the chance to deal with, with very professional employees, great bike mechanic and amazing management. Those guys won’t let you go without being on the right bike. My nomination for Canadian Forces Base Kingston Athlete of the Year for the First CFB Kingston Sports Banquet. Finally, a great performance at the Bassman Half Ironman Triathlon held in Tuckerton, NJ where I finished 6th overall with a personal best Half Ironman finish time, best 90km bike time which was really 95km and best all time half marathon run, all in the same event. So the season is moving in the right direction after all. As for whats coming next, well I have multiple races, the next one being Welland Half Ironman.